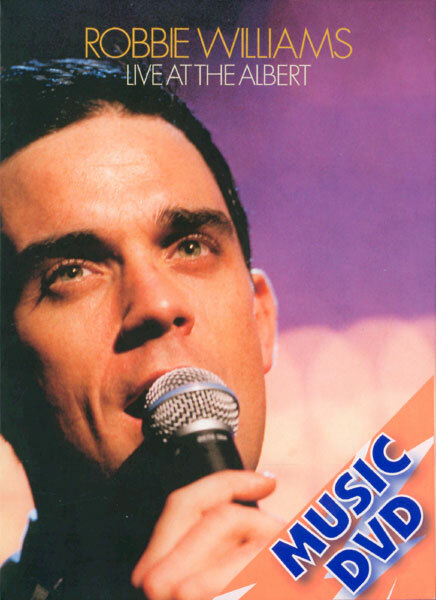 Robbie Williams live at the Royal Albert Hall was recorded on 10th October 2001 and is mixed in 5.1 surround sound. Experience the triumphs, the tears, the traumas and the trousers when Robert Peter Williams blows into London Town for one night only. Rub shoulder pads witha star-studded audience as Mr.Success and his 58 piece orchestra serenade you with the songs that make the young girls crazy. Rock with Robbie to the big band sound, shake a tail-feather to the finger-poppin', foot-stompin', thigh-pummelin' beat, 'cos tonight we're gonna party like it's 1959! Robbie Williams - he came, he saw, he swung.